11 Bit Studios has announced that This War of Mine: Complete Edition is available now for Nintendo Switch priced at $39.99. 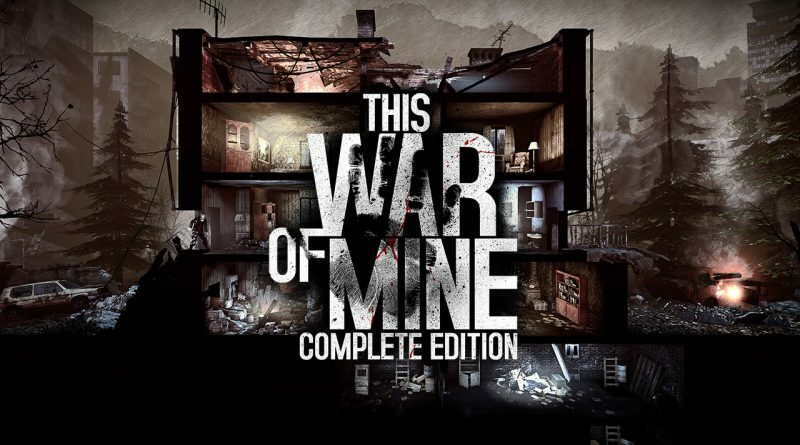 This War of Mine: Complete Edition includes “The Little Ones” DLC, “This War of Mine: Stories – Father’s Promise” DLC, all other expansions and will also include all future “This War of Mine: Stories” episodes as a free download once available. Struggling with a lack of food and medicine, and under constant danger from hostile scavengers and snipers, This War of Mine: Complete Edition is an experience wholly different from most war games you’ve experienced before. Instead of playing as an elite soldier, players will take on the role of a group of civilians trying to survive in a besieged city. Experience war from an entirely new angle. During the day, snipers will stop you from leaving your refuge, requiring players to focus on hideout maintenance: craft, trade, and take care of your survivors. At night, choose one of your civilians to be sent out on a mission to scavenge through a set of unique locations for things that will help the group stay alive. Make life-and-death decisions driven by your conscience. Players must try to protect their civilians, or instead sacrifice individuals for the good of the group. During the war, there are no right or wrong decisions; there is only survival.